The new RIDGID® FC-Cutters are the latest addition to the company’s hand tool line-up. 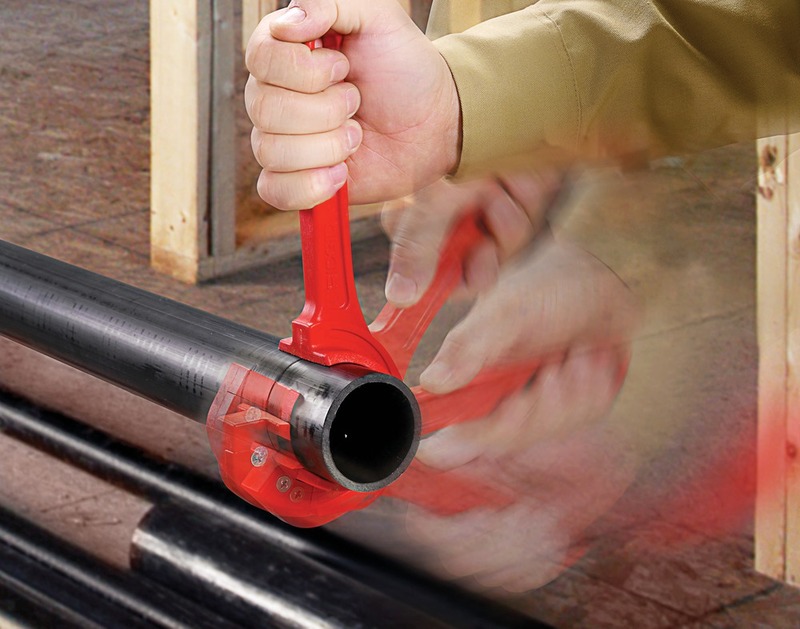 Available in two options for cutting different sizes of pipe (1-½” and 2” in diameter), the simple-to-use FC-Cutters are the only dedicated tools in the market that cleanly cut ABS and foam core PVC pipes. Featuring an extended handle for leverage and easy rotation, the cutters need only to be snapped on to a pipe and rotated once for a precise cut. Unlike a saw, they don’t leave burrs, eliminating the extra time usually needed to clean the pipe before making a connection. Additionally, each cutter comes with a convenient extra blade to help the tool maintain its effectiveness. Replacement blades are also available separately. 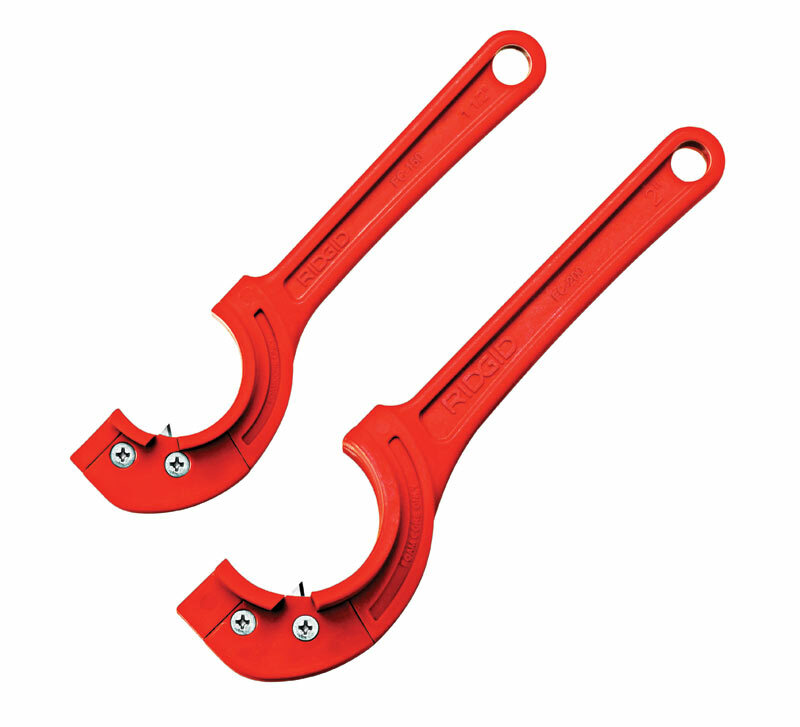 Other cutters in the RIDGID pipe and tubing tool line include the PC-1250 Scissor-Style Cutter, PC-1375 Plastic Tubing Cutter, the RC-1625 Ratcheting Plastic Tubing Cutter, the PTEC 3000 Tailpiece Extension Cutter and the RC-2375 Large Diameter Ratcheting Plastic Tubing Cutter.